Do you remember when you first danced to her music? 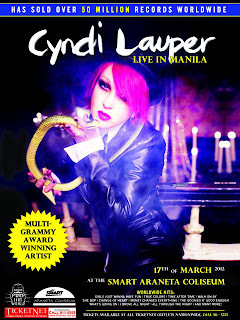 The 80′s is back with Cyndi Lauper, the original pop superstar, and she is coming back to Manila! Sing, dance and reminisce on her hit songs: Girls Just Wanna Have Fun, Money Changes Everything, She-Bop, True Colors, Time After Time and lots more!